Sony Music executives have terminated the record label's professional relationship with producer Dr. Luke. The 43-year-old musician has been embroiled in a legal battle with singer Kesha since October, 2014, when she filed suit, alleging he mentally, emotionally and sexually abused her throughout their 10-year musical partnership. On Tuesday (25Apr17), it was revealed Dr. Luke, real name Lukasz Gottwald, has been axed as CEO of his Kemosabe Records label, a subsidiary of Sony, and company representatives assert he no longer has the authority to represent Sony Music in any way, according to The Hollywood Reporter. A page devoted to the producer has also been deleted from the firm's website. 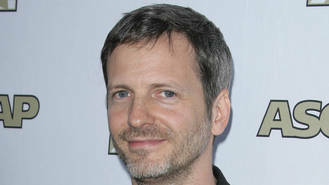 Sony Music bosses partnered with Dr. Luke to establish Kemosabe Records in 2011 and the deal provided him with enormous creative control in exchange for exclusive rights to his production work. Although Gottwald churned out few chart-topping hits through Kemosabe, he was able to provide continuous success for the corporation with his work as a producer on singles such as Miley Cyrus' Wrecking Ball, Katy Perry's Roar, and Pitbull's Timber collaboration with Kesha. Meanwhile, Dr. Luke's court battle with Kesha is ongoing - the Tik Tok pop star is still trying to convince a judge to release her from her recording contract with Kemosabe Records. After losing her case last year (16), she filed an amended lawsuit in January (17), but the amendment was also dismissed last month (Mar17). Luke, who has vehemently denied the singer's accusations, has filed a countersuit against Kesha, suing the Warrior star for smearing him through her various allegations. Lawyers for Dr. Luke and Sony Music have declined to comment on the producer's termination. Longtime bassist with The Temptations Kerry Turman has been confirmed as having passed away at the age of 59. The Temptations bassist Kerry Turman has died aged 59. Shania Twain fears Lyme disease may have been behind vocal issues that sidelined her career for years. Kelly Osbourne has been left disgusted by her parents' frequent make out sessions. Lea Michele is ready to love again following the tragic death of boyfriend Cory Monteith in 2013. New mum Cheryl fully supports boyfriend Liam Payne's decision to temporarily move to Los Angeles to work on his music career. Jackson family matriarch Katherine Jackson has dismissed her elder abuse case against her caretaker nephew. Madonna has slammed the filmmakers behind a new biopic, insisting she is the only one that can tell her story. Snoop Dogg and Daz Dillinger want to create a TV drama detailing the rise of rap group Tha Dogg Pound.